As America’s largest discount network, we at Access have a long history of working with fundraising organizations (of all shapes and sizes) to help them raise money for the causes they care about – most typically through the sale of our high-value local discount cards (e.g., our Champions Card). However, while discount cards and other traditional fundraisers are still very popular, they don’t fit the needs of every group needing to raise money. The fundraising landscape has expanded to include online fundraisers, which are rapidly growing in popularity. Since Access Fundraising works regularly with youth sports teams and community groups, it saw a growing need for an online fundraising platform optimized to their specific needs. And that’s where WeFundThem comes in. After years of study and careful design, WeFundThem is a unique kind of online fundraiser now available to groups nationwide. Thanks to a powerful pairing of features and value, WeFundThem.com is designed to be a smarter way to raise money easily and more effectively. Online fundraising has grown rapidly in popularity over the last few years and is projected to continue that trajectory. Just last year, online fundraising nationwide increased by more than 12% while overall giving grew 4.1%. In fact, online fundraising accounted for 7.6% of overall giving in the United States. That’s the highest percentage ever recorded by Blackbaud, a company known for its analysis of fundraising trends. It’s Safer – Fundraising groups are often youths, and new guidelines recommend that they don’t fundraise to people they don’t already know. The same holds true for selling fundraising products door to door as used to be the norm. Through online fundraising, people can reach those they know through email, social media, even texting – all without exposing themselves to risk. It Allows Groups to Reach More People – By their very nature, most product sales and event fundraisers limit your audience to those in a small radius. This could mean you’re soliciting the same people year after year, and running the risk that you over-ask and stop receiving donations. Online fundraising opens your audience to include out of town, even out of country connections. It Saves Time – Money isn’t the only thing donated to your cause. The time and efforts of your volunteers are also valuable and should be used wisely. Online fundraising generally takes less effort to set up and run, leaving more time for practice and participation in team activities. It Offers More & Easier Ways to Give – Fewer and fewer people carry cash, relying on debit and credit cards for all transactions, including donations. Therefore, potential contributors may not be equipped to give at the time they are asked, even if they want to. 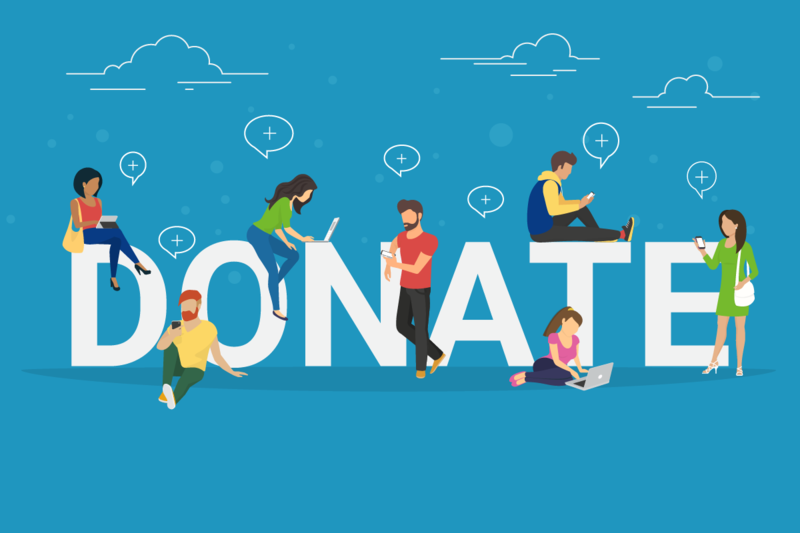 Online fundraising gives more control back to the giver, allowing them to use their preferred method, in their own time, and in any amount they feel they are able to. WeFundThem features all the benefits inherent in online fundraisers. But Access Fundraising takes it several steps further with the goal of providing an online fundraising engine that is optimized for youth sports teams and community groups. Nearly the entire process is automated, from set up to marketing to cash out. And for the parts that are not, Access Fundraising has a dedicated client success associate ready to help organizers through the whole process. Not only that, Access Fundraising ensures the ease of the site using a scientific approach. Led by Josh Brown, Product Development Manager for WeFundThem, the product development team brings in members of the target audience (such as high school and college students) and gives each one a list of tasks to perform on the site: setting up a giving page, adding a photo, sending an email, etc. They ask a lot of questions to make sure they understand what each problem is and brainstorm to identify potential solutions. That gives them the guidance and results they need to optimize the page on an ongoing basis, making it more and more intuitive with each iteration. That’s why each team member can set up his or her own individual giving page, and personalize it with their picture and plea for help. After uploading contact information for the supporters they want to reach, WeFundThem does the rest. Automated emails, suggested social media updates, even texts will direct each contact to the page of the participant they care about. This helps make donors more likely to donate. Access Fundraising believes causes should keep as much of their donations as possible. After all, your contributors give because they believe in the cause itself. One of the complaints voiced about many other online fundraising engines, however, is the hefty percentage they take. WeFundThem works differently. Instead of keeping an overall portion of each donation, it simply asks donors to pay a little more to cover the cost of the transaction. That means groups keep up to 100% of the profits. WeFundThem’s thank-you comes in the form of America’s largest discount network, with relevant every-day savings in cities and towns across the nation. This becomes a selling point for groups more accustomed to product sales, as donors can easily offset their donation by saving money at restaurants, shops and services near them. By offering this optional gift, groups combine the appeal of product sales with the convenience of online fundraising. They get the best of both worlds while avoiding the disadvantages of each. WeFundThem.com has already been used to great success by hundreds of teams and groups across the nation. The average donation exceeds $80, compared to the traditional $20 average. Take for example, one Utah soccer team with their eyes on the national championship, a lengthy and expensive goal. 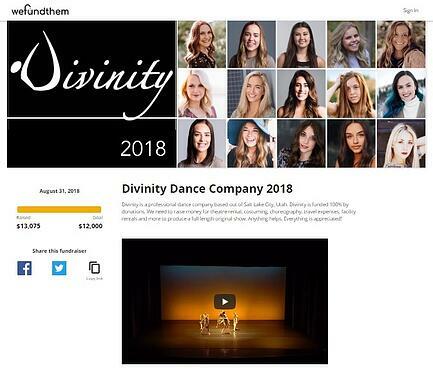 They turned to Access Fundraising so they could raise funds quickly without sacrificing any of the many hours of practice time they would need to make the championship in the first place. Though optimized to fit the needs of youth groups and sports teams, WeFundThem has been used to great success by many diverse groups including large national non-profits which use the individual giving pages to customize and track donations from each chapter. Wondering if WeFundThem is right for you? Access Fundraising is standing by to help you set up our own fundraiser. Get started by visiting www.wefundthem.com or by calling 888-878-6178.